Tents such as the Eureka Apex 3XT 3-season tent are an integral part of a camping experience. A quality tent can be an ideal shelter for those who seek to escape, recharge, and reconnect with nature. It offers protection against harsh elements and a comfortable place to sleep in, while keeping harmful wildlife and pesky mosquitoes at bay. Eureka tents come in various forms and sizes, with user-friendly features. If you are looking for a high-quality tent, don't skimp on features such as design, materials, capacity, and safety. Also, a tent should be easy to pack, transport, and set up to make your trip a pleasant one. What is the Eureka Apex 3 XT Tent? The Eureka Apex 3 XT tent is a high-quality camping gear designed to accommodate up to 3 people. It comes with an improved pole set for fast and easy installation. Its peak spreader hoop dramatically increases headroom adding more space for campers. When choosing a tent, look for the one that can comfortably accommodate the number of people in your group as most tents will comfortably accommodate one person less than it is mentioned by the manufacturer. It is always better to look for a spacious tent such as the Eureka Tent that has enough space for 3 campers and all their gear. There are different models of tents designed for different seasons and the number of people. 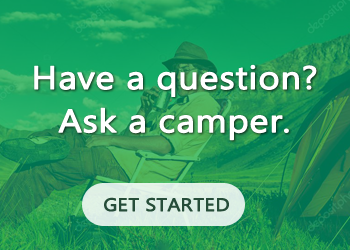 Usually, backpacking tents are three-season tents. If you are going on a backpacking trip, choose a light tent. However, ensure that it is durable to withstand harsh weather and wet conditions. Some tents come with partitions within the tent that give more privacy to individual campers within the tent. If you are looking for a 3-season backpacking tent, the Eureka Apex 3 XT Tent is one of the best. The Apex 3 XT comes with a hub with a single pole frame for fast and easy installation. Its fiberglass poles sport a durable nylon center hub, so you'll have to just fold out the poles, place the ends into the corner grommets, and clip the tent to the poles. 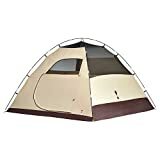 The tent has a peak spreader hoop that increases headroom considerably, 2 doors, 2 vestibules, a mesh peak panel, and dual fly vents for extra ventilation. The two generous 10 square feet vestibules can be used as sheltered storage area for your excess gear. They will also promote ventilation during heavy rains by shielding the mesh on the doors. The Apex 3 XT comes with a fully covered, factory-sealed fly for perfect weather protection. The bathtub floor keeps the seams taut and high off the ground for the best insulation. The freestanding design of the Eureka Apex 3 XT makes it easy to set up and and take down the tent. The multi-coated polyester fly perfectly covers the roof and wall vents. It also has additional fly vents for extra ventilation whenever needed. There are 4 mesh gear pockets inside the tent for extra storage, clothesline loops, and a flashlight loop for added convenience. 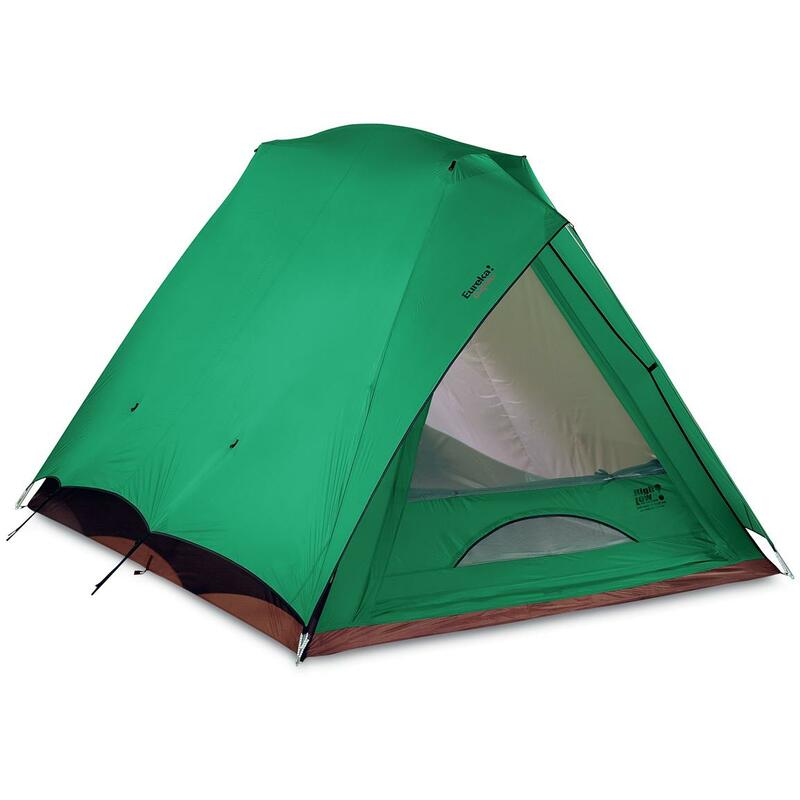 The Eureka Tent Apex 3 XT has Hi/Low venting adjustments on each side for optimal ventilation. Two windows and a full mesh roof panel provide excellent air circulation. 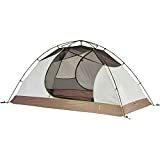 This tent comes with a ground cloth, gear loft, post and grommet pole to the tent attachment, stakes, and a carry bag. The all-clip setup will ensure fast and easy installation. There are also external guy points provided for dealing with stormy weather. This tent is fire retardant and comes with a limited lifetime guarantee. We compared four models of the Eureka Tent that varied in price. The lowest-priced model was the Eureka Tetragon HD Tent that retails for about $120 on Amazon. The highest-priced model was the Eureka Timberline Tent about $250. We picked a 3 more similar Eureka tents to see how they compare. Two opposing, extra-large, D-shaped doors provide easy access to the interior from either side. With a 46 square feet floor, the Eureka Apex 3XT backpacking tent is roomy enough to comfortably accommodate three people. 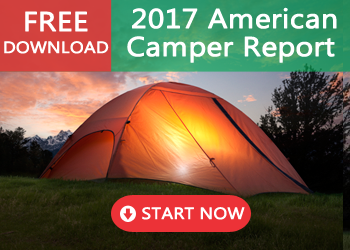 It has a peak spreader hoop that increases headroom up to 4 feet 2 inches for campers. The improved hub and a pole system makes it easy for installation. It comes with factory-sealed main fly and floor seams. For easy entry and exit, there are 2 large ‘D’ style doors with durable #8 zippers. Two covered, spacious vestibules add to the storage area for any excess gear. They allow great venting during rains by shielding the mesh on the doors. The full coverage, factory sealed fly gives incredible weather protection. Bathtub floor keeps the seams taut, high above the ground for proper protection. Multi-coated polyester fly covers roof and wall vents. The poke out fly vents provides additional ventilation when needed. There are four mesh gear storage pockets and loops for clothesline and a flashlight. The freestanding design and an all-clip set ensures the fast and easy installation of this Eureka tent. The fiberglass poles come with a durable nylon center hub so that you just fold out the poles and put them into their places during installation. The mesh peak panel and dual fly vents offer proper ventilation and the opportunity of stargazing at night. The freestanding design and an all-clip set enable fast and easy installation of this Eureka tent. For easy entry and exit, there are 2 large ‘D’ style doors with durable #8 zippers. The multi-coated polyester fly covers the roof and wall vents while the 2 doors, 2 vestibules, a mesh peak panel, and dual fly vents offer excellent ventilation. Near-vertical walls in this cabin-style tent create a spacious interior ideal for cots and airbeds. The Eureka Canyon 4 camping tent is a 4-person cabin style tent. 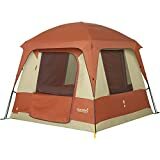 This Eureka tent comes with 10×10’ floor space and 7′ center height adding space for up to 4 people to sleep comfortably. It is a roomy, straight-walled family tent ideal for three-season camping. It is a 6-pole freestanding tent sporting a steel and fiberglass frame with clips, pole sleeves, ring, and pin assembly for easy installation. Four large windows and a generous roof vent allow excellent ventilation and visibility. One large ‘D’ style door enables easy entry and exit. The floor and fly seams are factory sealed to keep you dry and comfortable even during the most rabid summer storms. The coated polyester fabrics are durable and long lasting. Installation is a breeze with the shock-corded poles that attach to the tent body via pin and ring with no hassle. The interior has two mesh gear pockets for organized storage, clothesline loops, and a flashlight loop. The steel poles are powder coated and the fiberglass poles shock-corded. Four windows with ‘Quick Stash’ feature stow window flaps easily without loops or toggles. There are separate twin track zippers on the windows and door for easy access. External guy points on the fly help secure the tent in high winds. Guy out pockets enable storage and secure the guy lines when not in use. The tent has an E-power port with a zippered flap to accommodate an extension cord to run into the tent. The Eureka Canyon 4 comes with a gear loft, carrying bag, and stakes. This tent is fire retardant too. 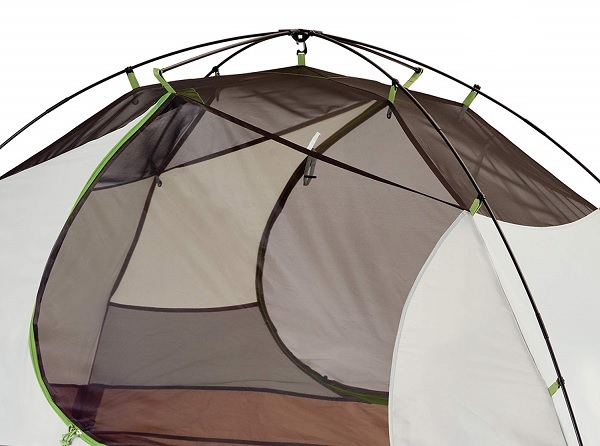 Pitching this Eureka Tent is easy thanks to its shock-corded steel and fiberglass pole frame. It features a couple of mesh gear pockets for internal storage and a set of practical loops. The tent attaches to the frame with a combination of clips, pole sleeves, rings, and pins assembly for easy installation in about 30 minutes. With a 8' by 8 ' floor, the Canyon 4 is spacious for four people. The tent's four large windows and a generous roof vent ensure excellent ventilation and visibility. One large ‘D’ style door enables easy entry and exit. The rain fly comes with external guy points, which will secure the tent in place in high winds. You may return most new items sold by Amazon within 30 days of delivery for a full refund. The Eureka Tetragon HD tent is a 3-season family camping tent designed to accommodate up to 4 people. It comes with a lightweight, fiberglass pole construction and can be easily installed thanks to its freestanding dome design and fiberglass frame, clips, and ring/pin corner assembly. The Tetragon HD 4 has a large main door that gives you easy access to the interior. The bathtub floor and seam taped construction will keep water and rain outside the tent. The rainfly and the sturdy fiberglass pole construction will offer no-fail waterproof protection when the storm hits. In addition the Tetragon HD 4 features a hanging E-Media center that lets you watch your favorite video on your tablet or smartphone thanks to the clear sleeve with touchscreen compatibility. There is also a gear loft, 4 gear loops, one lantern loop, and 2 storage pockets that give you plenty of options for stashing your gear out of the way. The gear loft is included. The easy for installation is assured by the fiberglass frame, clips, and ring/pin corner design. This tent has a gear loft, 4 gear loops, one lantern loop, and 2 storage pockets for you to stay organized. This Eureka Tent can be fully installed by one person in about 30 minutes. The wall fabric is made of 800mm coated/uncoated 75D polyester taffeta. The fabric used for the rainfly is a 75D StormShield 800mm polyester. The floor fabric is 75D polyester taffeta (800mm.) While the mesh fabric is 50D no-see-um type. 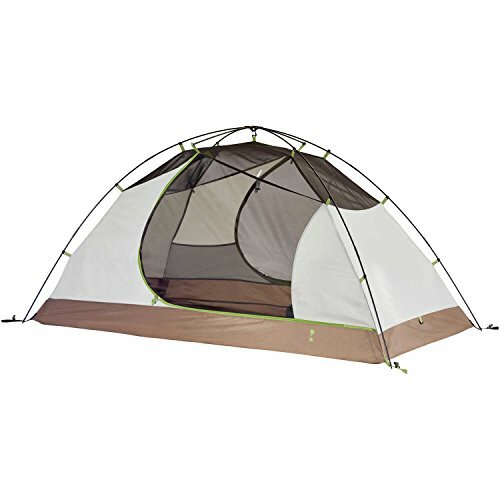 The tent features 2 fiberglass poles, 2 doors, and 4 windows. It has dimensions of 144” X 120” X 76” with 120 sq. ft floor space. The Eureka Timberline backpacking tent is designed in a classic A-frame style (8' 9" by 7' 2" floor; 63 sq. ft. area) designed to accommodate four people. It comes with a peak height of 58 inches and at 7 pounds, 13 ounces, it is ultra light and ideal for backpacking. The windows and door can be closed with a zipper. There's a breathable nylon wall, polyester fly, and polyester bathtub floor to keep the interior dry. This Eureka tent is easy to install in minutes as it sports a classic A-frame. It has two mesh gear pockets and an optional gear loft for storage. There are also loops for clothesline and flashlight. The A-frame design will maximize storage space to accommodate all your gear. The Eureka Timberland is easy to use and set up due to the classic A-frame and breathable polyester walls. The tent is designed to accommodate four people. The walls are made of breathable nylon for air circulation. This tent has the weather resistance, ventilation capabilities, and storage expected from a more expensive tent. For more info you may check it on Eureka. 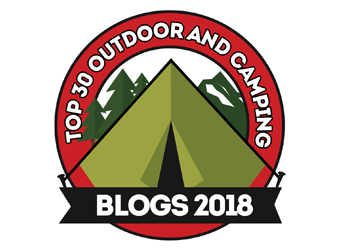 We compared four different Eureka tents within various price ranges, with the lowest-priced model being the Eureka Tertragon HD and the highest-priced model being the Eureka Canyon 4. The Eureka Apex 3 XT tent seems to be the preferable middle-ground choice. It is spacious for up to three people and features two doors for easy entry and exit and two covered vestibules for storage. The bathtub-type floor keeps the seams taut and the overall tent waterproof. The Apex 3 XT Tent is reliable, ventilated, and easy to set up. We give 4 stars out of 5 for this model.